The Fulltone Soul-Bender distortion pedal is based on the sound of the classic Colorsound and Vox Series III ToneBenders from the late '60s, heard on many recordings from artists like Jeff Beck and Jimmy Page. The Soul-Bender uses three gain-matched germanium transistors for tube-like saturation that responds impressively to every nuance of your playing. Roll off your volume and the Soul-Bender cleans up nicely - hit it hard, and you get everything from smooth overdrive to hard-edged fuzz. It's a versatile effect, enhanced by the wide sonic range of the tone control. Whether you're looking for enhanced sustain, tube-like overdrive, or trashy distortion, the Fulltone Soul-Bender has the tone your soul has been searching for. The Fulltone Soul-Bender doesn't just give you a wide range of overdrive, distortion, and fuzz tones to play with, it responds dynamically to your guitar and your playing. Roll off your guitar's volume knob, and the Soul-Bender cleans up just like your favorite tube amplifier. Dig into it, and the germanium transistors give you vintage distorted tones without the vintage noise and hiss. Germanium transistors were the first choice for guitar pedal manufacturers in the '60s and '70s, and are known for their smooth, warm character when overdriven. The Soul-Bender uses three gain-matched germanium transistors for vintage tones, with the reliability and low-noise operation gained by modern manufacturing techniques. 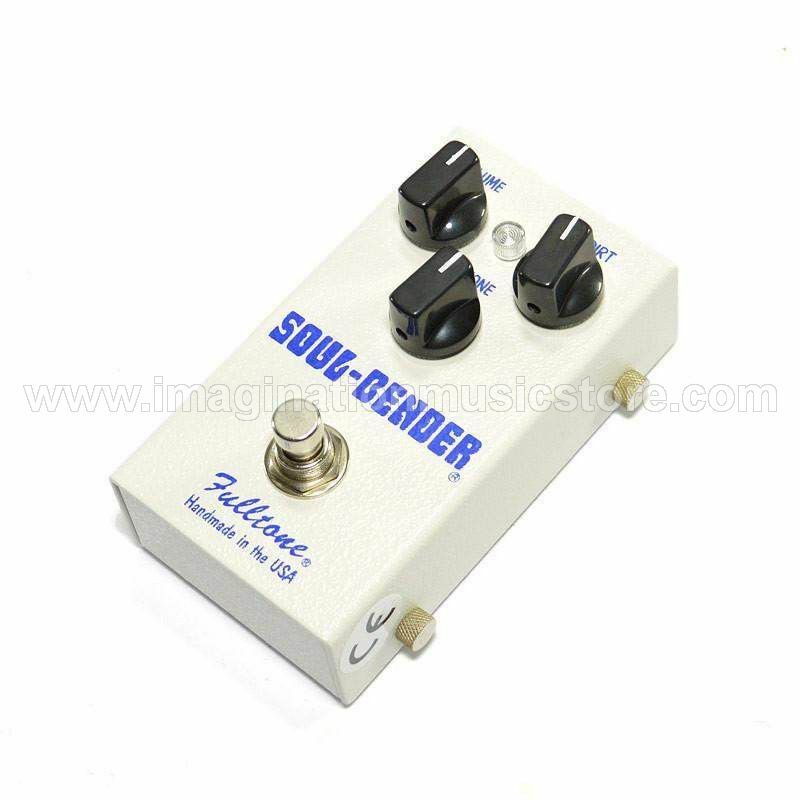 Fulltone pedals have earned the trust of guitar greats like Eric Johnson, Robin Trower, Steve Hunter, and many more. Working pros don't use pedals they can't rely on, and Fulltone pedals have earned their trust. Not only will you love the sound of the Fulltone Soul-Bender, you'll love how reliable it is as part of your rig.